 The University of Adelaide is consistently ranked among the top 1% of universities in the world and is a member of the prestigious Group of Eight. Established in 1874, the University of Adelaide is Australia’s third oldest university and an iconic Adelaide institution. The University has produced over 110 Rhodes Scholars, and is associated with five Nobel Laureates. The University of Adelaide offers a broad range of undergraduate and postgraduate programs underpinned by world class research and places high priority on the student learning experience. Students learn under the expert guidance of leading academics and develop research skills right from the start of their undergraduate degree. Students are exposed to international perspectives and have the opportunity to build strong global networks throughout their time at the University. Students from over 90 countries study at the University. Adelaide graduates are recognised for their critical thinking abilities, communication proficiency and are equipped to become leaders of the future. Eynesbury has been working closely with The University of Adelaide for over 20 years offering a comprehensive range of pathways to the University; including senior high school, foundation studies and diploma programs. Eynesbury is the only Navitas College that provides a pathway to a Group of Eight University.